The fidelity card allows you to accumulate points, which later can be used to pay your trips. This option is only available in some cases. During the purchase procedure it will be reported if the service selected is available or not, because only from certain schedules it is possible to know if this type of special seats are available. Only one passenger can be purchased for each sale transaction. The law forbids the transport of any animal in the passenger cabin except for guide dogs. Dogs or cats will travel in holds, inside cages or special baskets provided by the passenger that must be adapted for this use, being totally forbidden to transport animals outside these cages or baskets. In General, the transfer of these animals is carried out under the full responsibility of their owners, which will necessarily travel in the same service as the animal. The traveler must present himself at boarding gate, accompanied by the animal, 15 minutes in advance, personally placing the animal in the cage located in the bus, according to the indications of the driver. The animal must be in good physical, emotional and hygienic conditions for shipment, it is recommended the use of a muzzle in the case of dogs, however it is not mandatory. The cost of transport will be 50% of the fare, being paid as a supplement before the journey. Only one dog or cat is admitted per bus. The transport of bicycles, surfboards or Skis. The transport of bicycles, surfboards or Skis has a supplement on the price of the ticket of 5 euros in short-haul services and 10 euros in long-haul services. 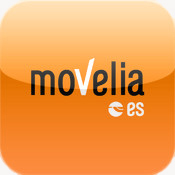 International services, only allows transport of bicycles in the Spain-Moroccan line, previous reservation and payment of the amount. Due to space limitation reasons, a total of four units are allowed, between bikes and surfboards per bus (one per ticket). These must be able to travel without causing damage to other baggage or packages, being mandatory, that they are packed in some sort of box or bag ready for transport. You can buy your ticket through the website together with the bicycle transport by pointing out the checkbox available in step 3 of the purchasing process. Bicycle transport tickets must be bought one by one, being impossible to mark this checkbox when you have selected 2 or more seats. If there is no space for more bicycles at the selected schedule, the travel selection checkbox with bicycle will not be available. Once having purchased the ticket, the passenger will board with his bicycle/surfboard at least 15 minutes before departure. Time out, purchase will be cancelled. 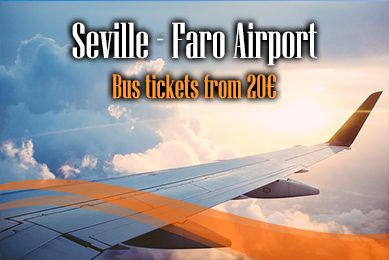 Bus Tickets from Seville to Faro and... Faro Airport! Prices an timetables here. Buy it now! 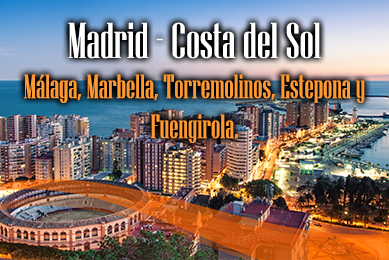 Bus Madrid - Malaga from only 16,87€ Marbella, Torremolinos, Estepona and Fuengirola. 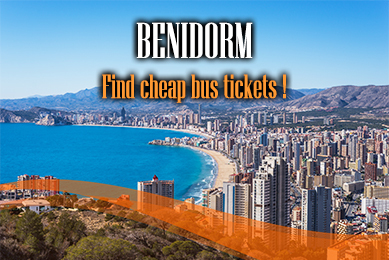 Bus Tickets Alicante Airport - Benidorm Golden sand, transparent water, sunshine... Buy your bus tickets to this wonderful city!